Just a few days ago a new version of Project Honolulu, technical preview 1830, was released for Windows Server Insiders, https://blogs.windows.com/windowsexperience/2018/03/13/announcing-project-honolulu-technical-preview-1803-and-rsat-insider-preview-for-windows-10/. One of the major updates to that version was the support for changing access control from local group/Active Directory to Azure AD Authentication. 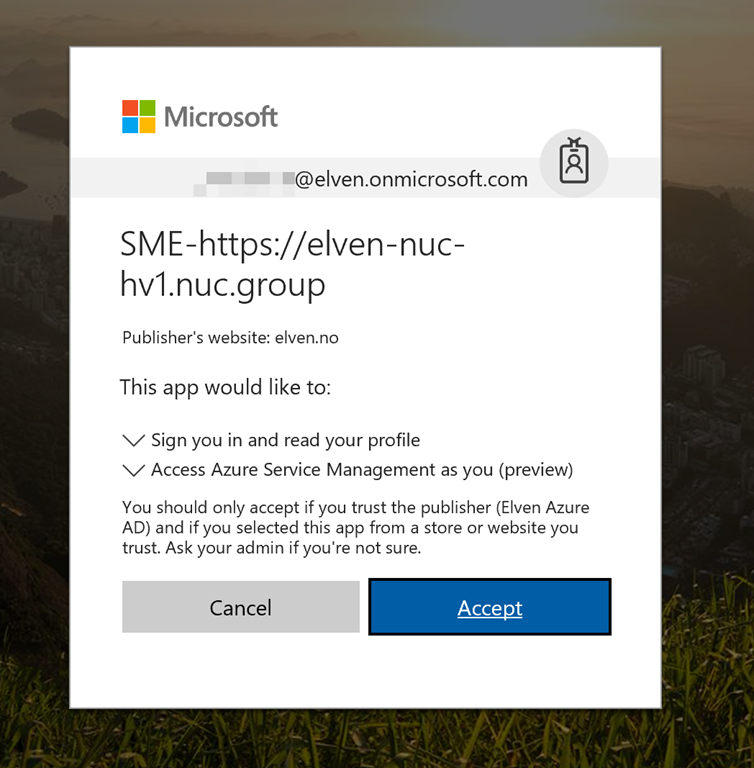 Configuring Azure AD Authentication will provide the ability to pre-authenticate users with their Azure AD credentials, as well as restrict access to selected users or even integrate with Azure AD Conditional Access. In this blog post I will provide some steps, examples and screenshots for how I did that configuration in my own environment. After that I navigated to the https://elven-nuc-hv1.nuc.group url from my client machine, and verified that I could sign in and see that the Project Honolulu website was updated. 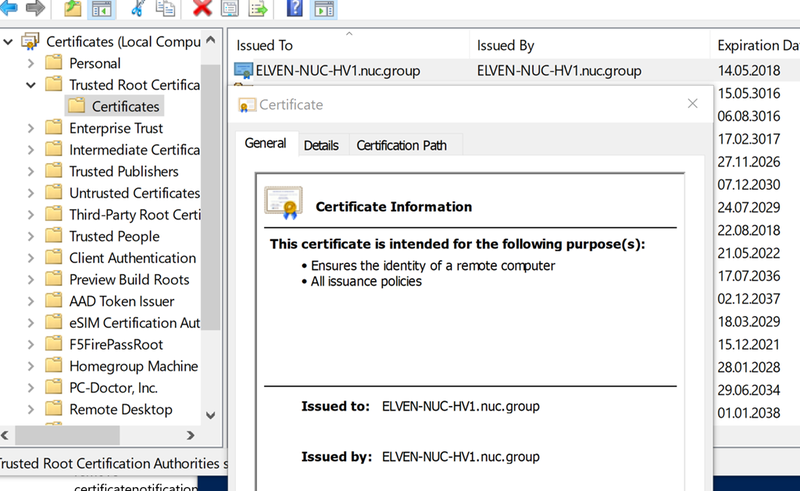 I also note the certificate warning I receive because my client doesn’t trust the self generated certificate the gateway server installation provided. This will be a problem when using Azure AD Authentication, so in the next step I will make sure the client trusts that. Export-Certificate –Cert $cert –FilePath <path>\<filename>.cer. Now I am ready to change access control in Project Honolulu. Click on the Settings cogwheel, and under Settings click Access. Back at the Access Control settings, refresh the browser, note the changed instructions show in the dialog below, and then Save. This will restart the gateway service. After successfully authenticating and accepting, I’m logged into the Project Honolulu website. 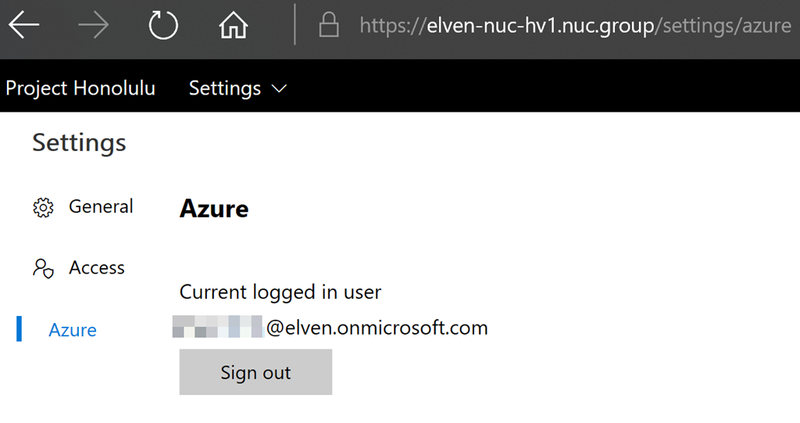 Under Settings and Azure, I can verify that I’m logged in and sign out again if needed. 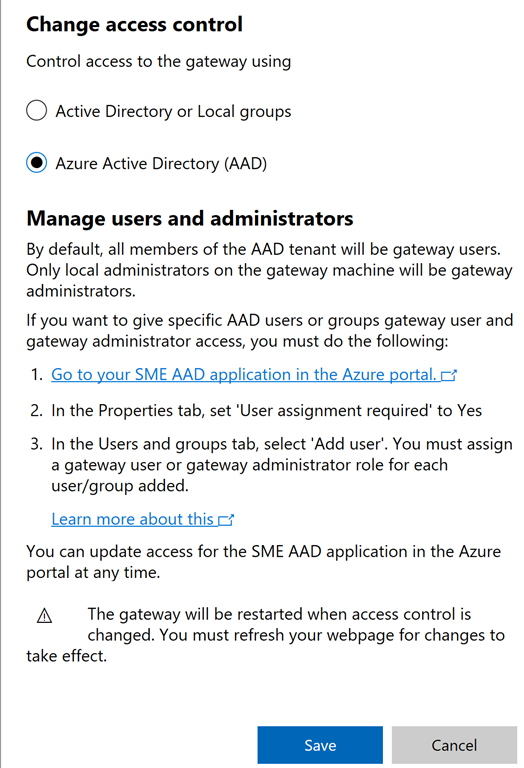 Remember by default all members of the Azure AD tenant will have user access to the Honolulu gateway service. That includes any B2B Guest Users! 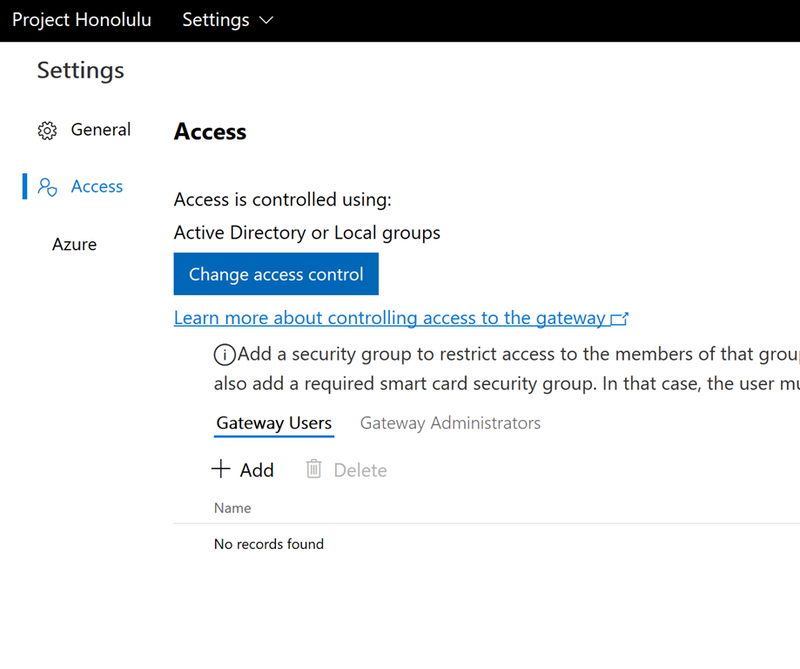 Only local administrators on the gateway machine will have administrator access to the Honolulu gateway. After enabling this setting users that aren’t added to the list of users or groups either directly or via group membership will not be allowed to log on to Project Honolulu. 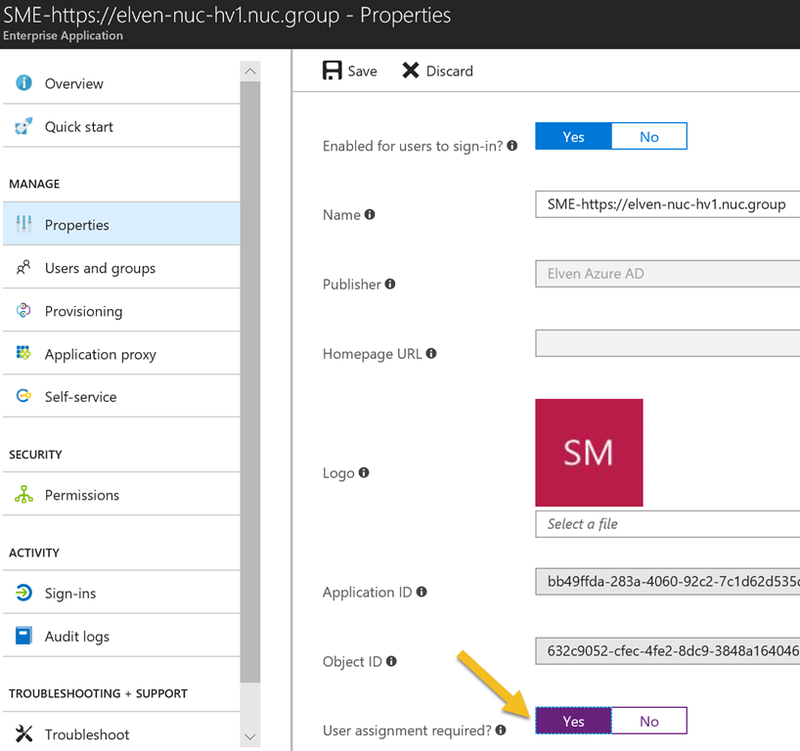 In this blog post I have shown a first look for enabling Azure AD Authentication for Project Honolulu version 1803 technical preview. 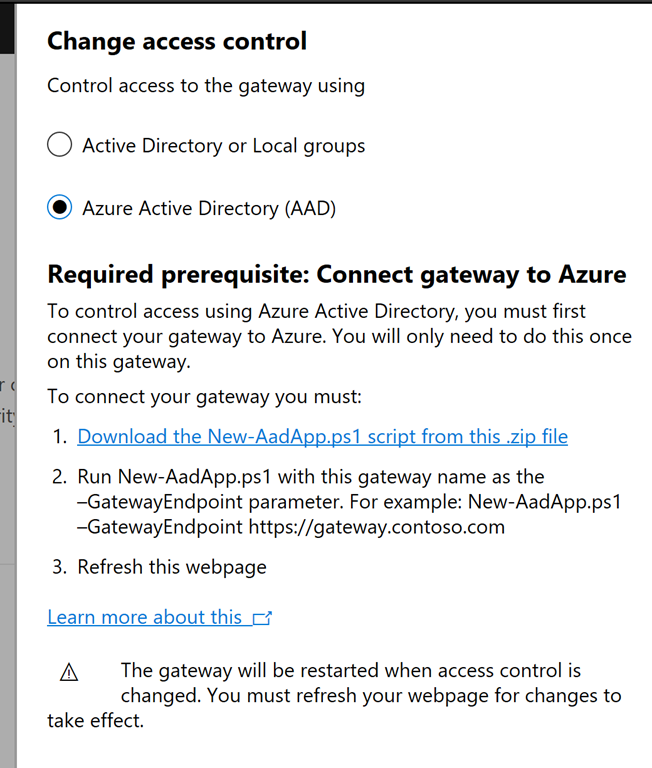 The next step is to look into configuring Azure AD Conditional Access for this application, that will come in a later update to this blog article, stay tuned! 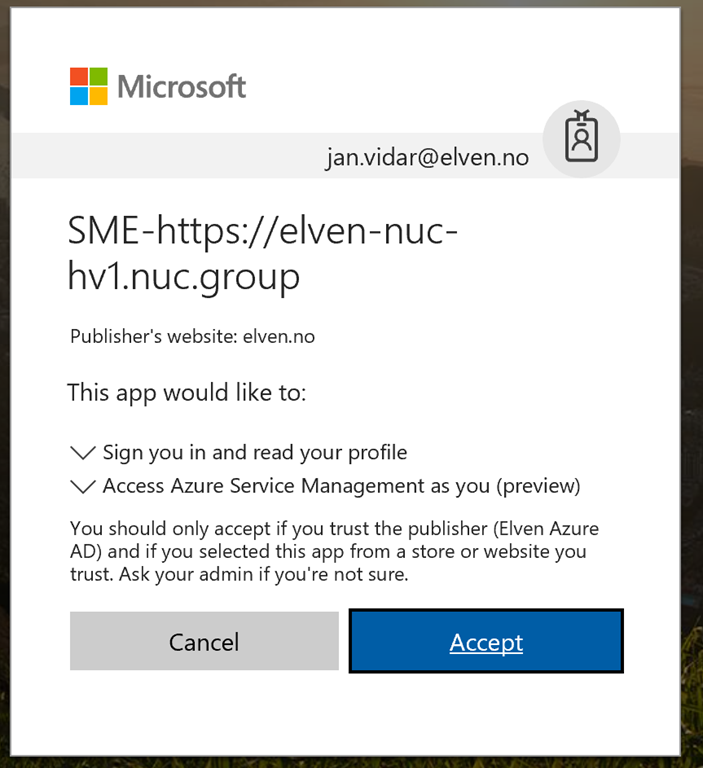 When I follow the link from Access Control settings I’m able to find the Azure AD App, but I cannot see it by just browsing the Enterprise Applications list. Based on the documentation I this should have work. This means for now I cannot add that App to any Conditional Access policies as it is not browseable. The .\New-AadApp1803.1.ps1 script cannot be run on the Windows Server 1709 core version, as there is no GUI and I get iframe errors, it could be that this is related to the issue above, as I ran the script on my client instead. 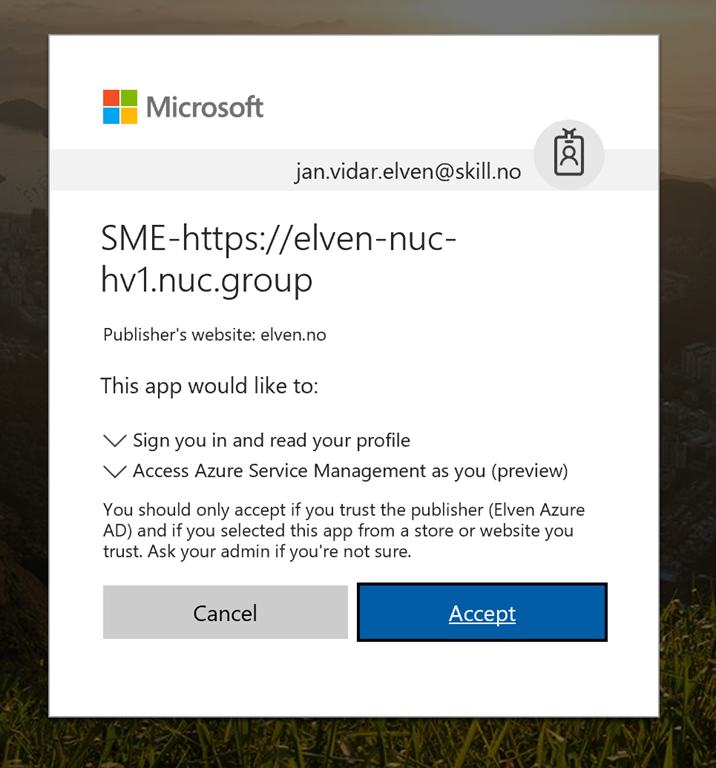 This entry was posted in Azure AD, Azure AD Conditional Access, Project Honolulu, Windows Server 1709 and tagged Azure AD, Azure AD Conditional Access, Project Honolulu on March 16, 2018 by Jan Vidar Elven.